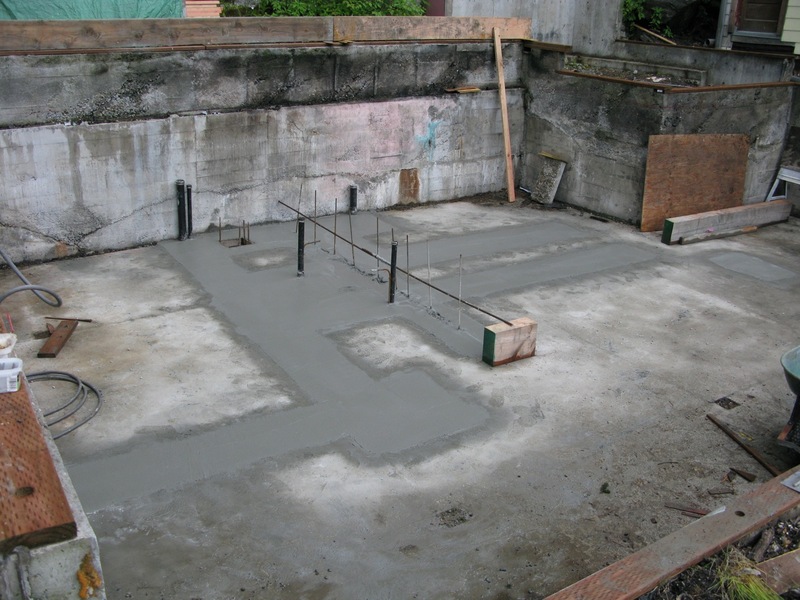 Once the old foundation was cut according to plan, plumbing was laid and concrete poored over it. Talk about installations you can’t adjust once they’re done! This buttress wall serves multiple purposes. 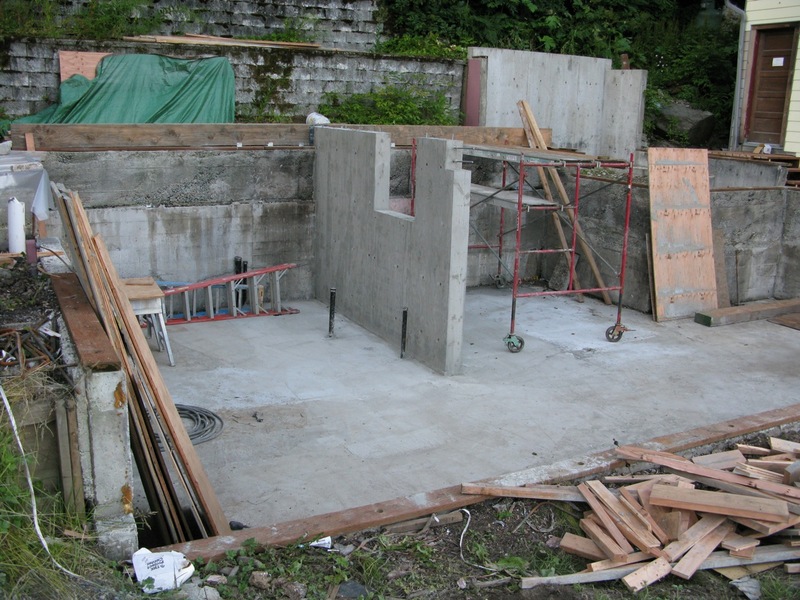 Since it’s perpendicular to the rear foundation retaining wall it will help keep the hillside at bay. Since it’s pretty much right in the center of the floorplan, it will be the support on which much of the main floor sits. The previous floor in the pink house was held up by columns, which broke up the downstairs space in an odd way. This buttress solution was designed by our engineer and our draftsman designed around it so it will flow with the floorplan. The cutout you see in it will be where the staircase descends from the main floor to basement.